Fat LossMusclePharm ARNOLD Iron Cuts - 90 kaps. 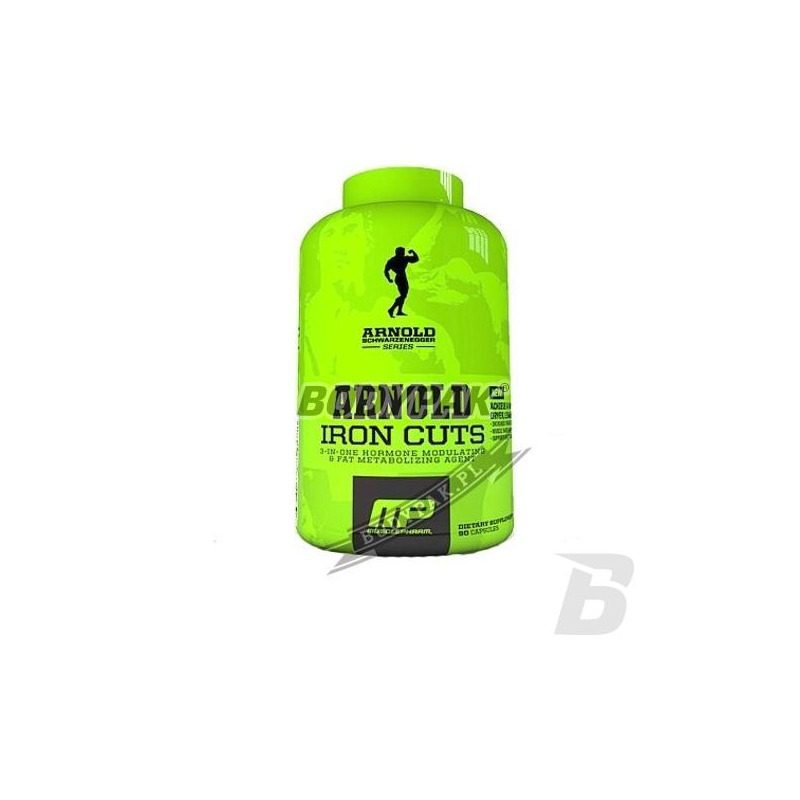 MusclePharm ARNOLD Iron Cuts - 90 kaps. 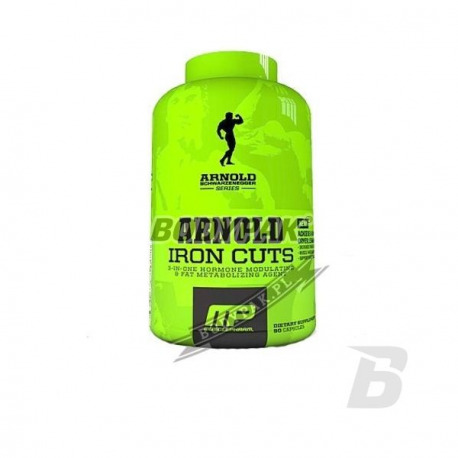 Arnold Iron Cuts is a very strong fat burner, which consists of three different formulas integrated into a single unit. MusclePharm ARNOLD Iron Cuts - 120 kaps. 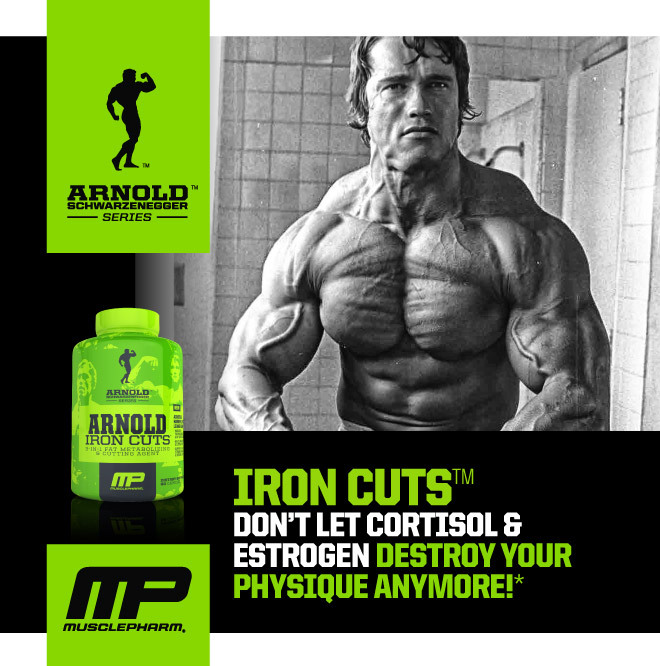 With a blend which increases thermogenesis and lipid metabolism and accelerates the mix increasing muscle cells, as well as complex responsible for nailing estrogen and cortisol - Arnold Iron Cuts is now one of the strongest burners market in the world! This innovative combination is excellent when it comes to getting symmetrical, lean body. They signed by seven-time Mr. Olympia - Arnold Schwarzenegger will make you get incredibly slim and sculpted physique. Only now you can make changes, you have always dreamed of! Arnold Iron Cuts is an absolute rarity when it comes to improving the appearance of the figure. The product supports weight loss or weight regulation containing stimulants, so it can be used shortly before bedtime! High concentrations of hydroxycitric acid (HCA) in every serving - up to 60%. It helps to reduce the feeling of hunger! High-quality blend until 3 chemical forms of L-carnitine in the form of easy to swallow capsules. Helps in weight loss, enhances the transport of fatty acids to the energy centers of cells (mitochondria), where it comes to their oxidation. Bet on the quality and enjoy the results! High-quality preparation, so that in a short time you will burn more fat than ever before! Synferyna is a thermogenic substance, it helps in weight reduction and increases energy expenditure!